This may have been a reflection of motivations at that time (or perhaps his own values) but it is not always a view that would resonate with Australians. If we have learnt anything as a nation from our participation in global conflicts it is that our men and women are motivated to fight long and hard for two things above all else – freedom and mates. Nevertheless we will always value formal recognition of their service and sacrifice. This is the first of many articles, the aim of which is to increase the knowledge of military awards for outstanding bravery made to Australians by other nations. Edward Mobsby's Silver Star. Image courtesy of the Read Family Collection. The Silver Star is an award recognising exceptional gallantry in combat. A rare award for US service men and women, it is even more so for non-US citizens. The Australian War Memorial lists just 30 Australians who received this award in World War 2. It should be 31. There is a name yet to be added following a posthumous award in 2014, Flying Officer Edward Tompson MOBSBY. An outstanding young pilot he was seconded to the US Air Force (90th Bombardment Squadron) and lost his life on 26 July 1942 whilst flying an exceptionally dangerous bombing mission. 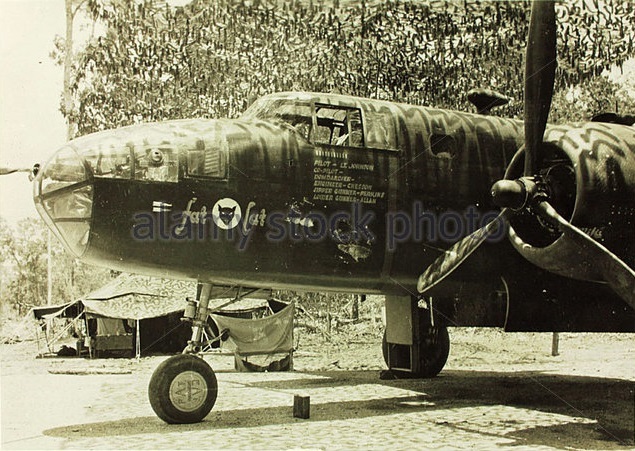 “On 25 July, 1942, P/O Mobsby’s B-25 was part of a flight of aircraft who departed his operating base at Port Moresby, Papua New Guinea to attack enemy convoys at Buna and Gona. When they started their bombing run, there were no enemy aircraft in sight . . . Suddenly the flight was attacked without warning by ten to twelve, Japanese fighters. Bombs were quickly salvoed [released all at once] and an echelon of diamonds was formed…Schmidt and Mobsby’s aircraft became the diamond point lead for one of the two flights. …For fifteen minutes a running fight was carried on. Three direct frontal attacks were made and completed by Zeros flying through the formation. The B-25 Mobsby was in was hit with a 20mm cannon shell in the right engine. The engine exploded against the fire wall, breaking an oil line. The plane eventually landed with low oil pressure and no electrical system, which meant it was defenseless. A B25C of the 90th Bombardment Squadron similar to that flown by Edward Mobsby. RAAF personnel continued to serve with this unit which notably took part in the Battle of the Bismark Sea the following year (1943). The text above is edited and reproduced from the Oration made by US General Carlisle in Canberra on 14 March 2014 at a ceremony to mark the posthumous award of the Silver Star to Flying Officer Mobsby. It took 69 years and a great deal of love and dedication to his memory on the part of his wife, his daughters (and their families) for that recognition to be made. Read more, including General Carlisle’s full oration here. 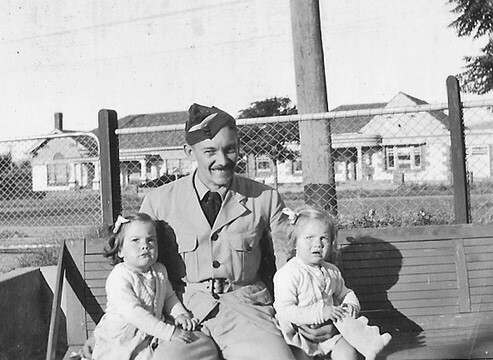 Edward Mobsby with his daughters. Image courtesy of the Read Family Collection.